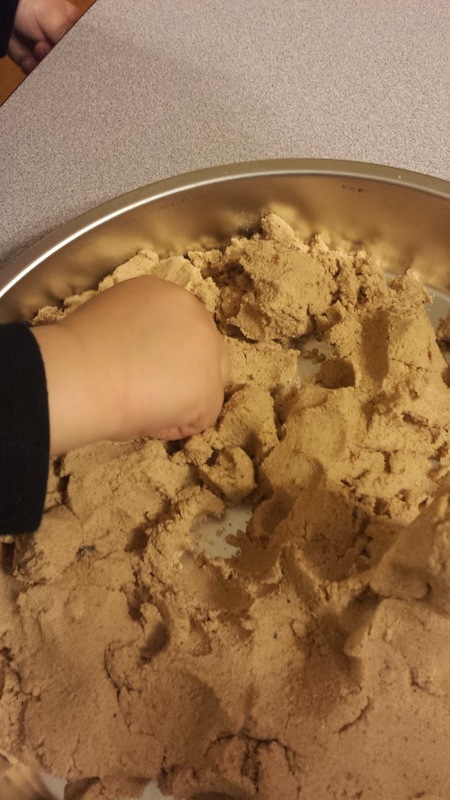 DIY Kinetic Sand (Moon Sand) Recipe for PENNIES! We were in Brookstone recently and they had a display of that kinetic sand or moon sand that is out now. Tom wondered if you could fill a whole sandbox with it. At Brookstone prices, it would cost as much as buying your own beach. But I found a recipe on pinterest and we made our own, for pennies. 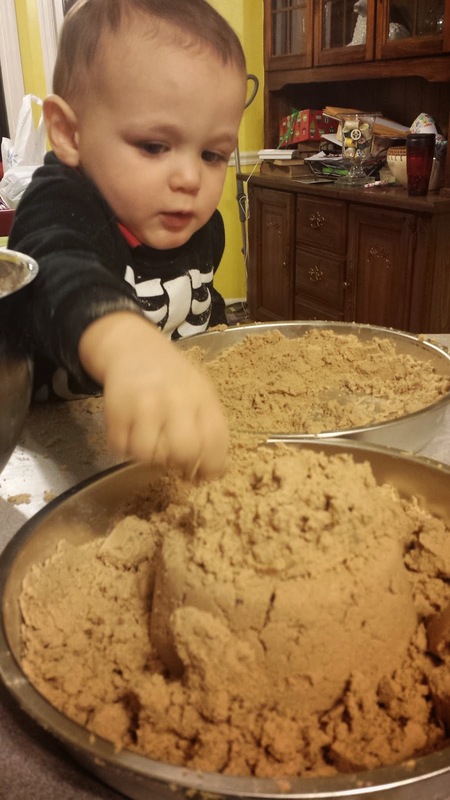 It was fun to make – the KLAW had fun stirring the ingredients but was sad when I wouldn’t let him lick the spoon. We picked up play sand at Home Depot ($3.50 for 50 pounds) and whipped up a small batch according to the recipe at gimmefreebies.com. I needed to add a little more water than the recipe suggested because the sand wasn't quite coming together. But once it did, the KLAW had a BLAST with it! 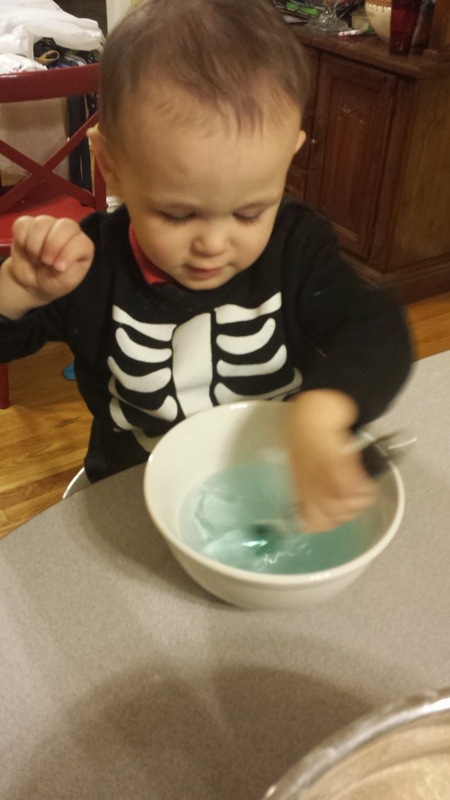 I'm excited to go back and use the rest of our sand to make more - perhaps using the recipe for bright colors! 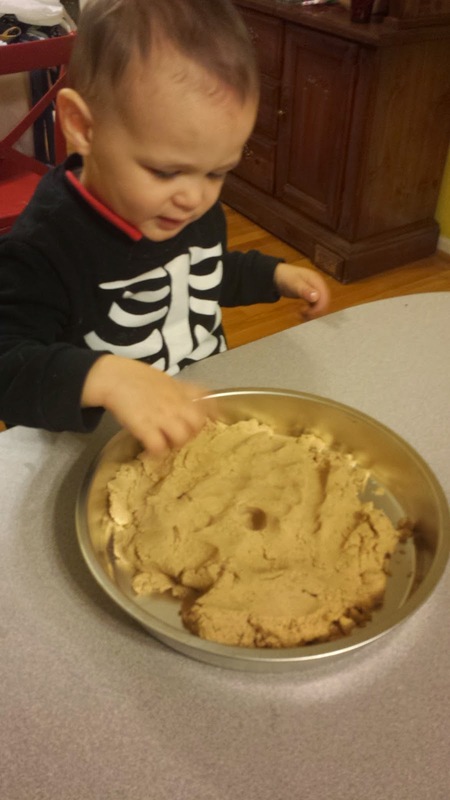 We used cookie cutters in it (ten cents on clearance at Dollar General! Score! ), molded shaped with some cups and bowls, and transferred sand from container to container (and to the floor!) with hands and spoons. It's not quite as good as the store-bought stuff, but for a toddler it is just as fun as a day at the beach! Incidentally, I recently found small cookie sheets and cake pans (Mainstay brand) at Walmart for 88 cents. They will be great for all sorts of activities (magnets, sensory activities, wearing as hats, e.tc) – check to see if your store carries them! This post contains referral links. If you click through, and buy the product through that link, I get a referral bonus. This income will help pay for this blog. 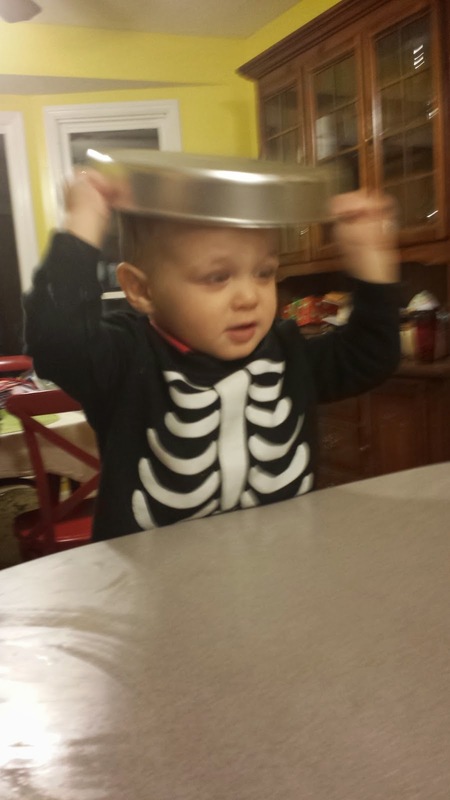 As a nursing mom chasing a newly mobile toddler around, I am frequently blindsided by hunger at the most inopportune times. I find myself parked in the driveway, trapped in the car while my kiddo naps in his car seat, scrounging around in the bottom of the diaper bag hoping to find airline peanuts from our last trip. 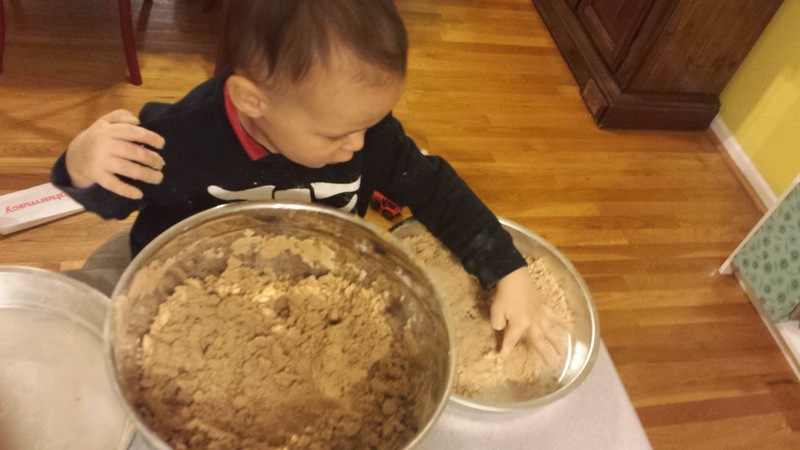 I was recently introduced to an alternative solution, which would not only help nourish me, but in turn nourish my little nursling. Credible Cravings is a line of snack bars developed by obstetricians, midwives, and nutritionists specifically for pregnant and nursing moms. The bars are made of whole foods that are packed with good-for-mama stuff like folate, iron and fiber rather than just fortified with vitamins like many other bars. For someone who can barely remember to take my vitamins (and by barely, I mean pretty much never), these are awesome. The oatmeal cranberry is my favorite flavor (oatmeal is great for my milk supply! ), but the chocolate and lemon ginger greens options are pretty tasty too! So that means these little bars pack a triple punch – filling, healthy, and easy. Pretty much the perfect snack for women trying to conceive, pregnant or with kids. Heck, they are probably good for everyone! This is a sponsored post. I was provided a sample of this product for review. I am a vegetarian. My husband and son are not. I struggle to find ONE meal to satisfy us all and not have to cook everything separately (I hate dishes.). Taco night, for example, is great because I can prepare the toppings for everyone and quickly cook and season real and faux ground beef. 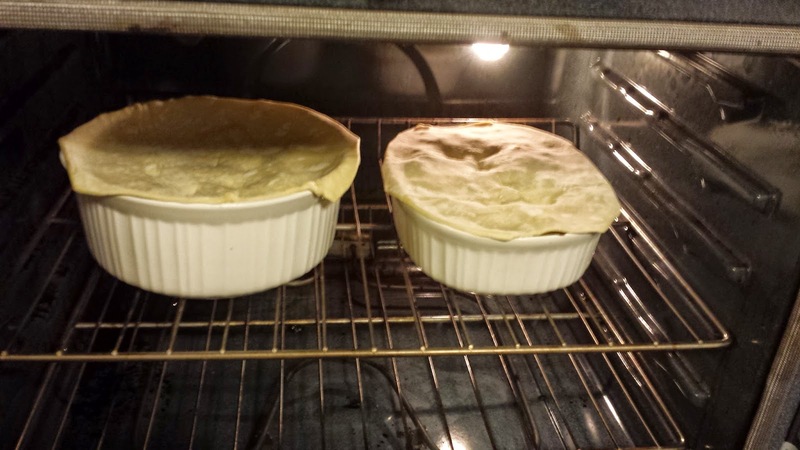 Recently, my husband has been requesting those little banquet pot pies to have for lunch. Now that it is cold outside, I have been envious of that dish – so warm and satisfying, with the steam rising up when you break through the crust. And wholesome too – lots of good, filling veggies in there. 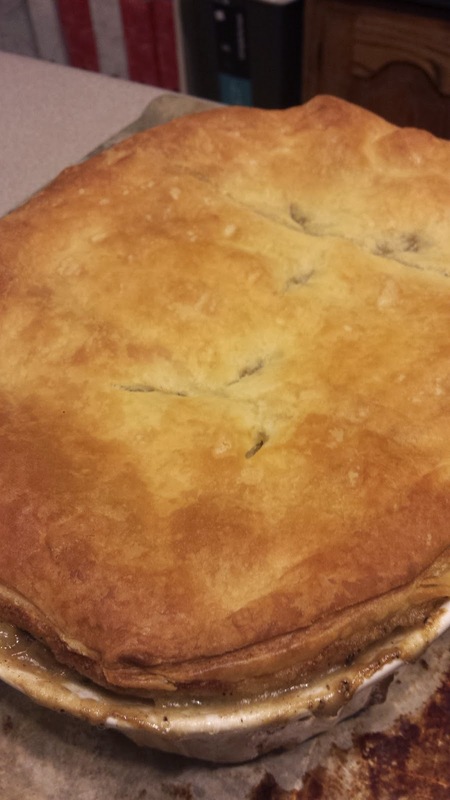 A recipe for a vegetarian pot pie came across my inbox and so I decided it was time to make a pot pie of my own. Of course, I had to make one for my fellas, too. We had some leftover grilled chicken from recent restaurant meals, and it was perfect for this. 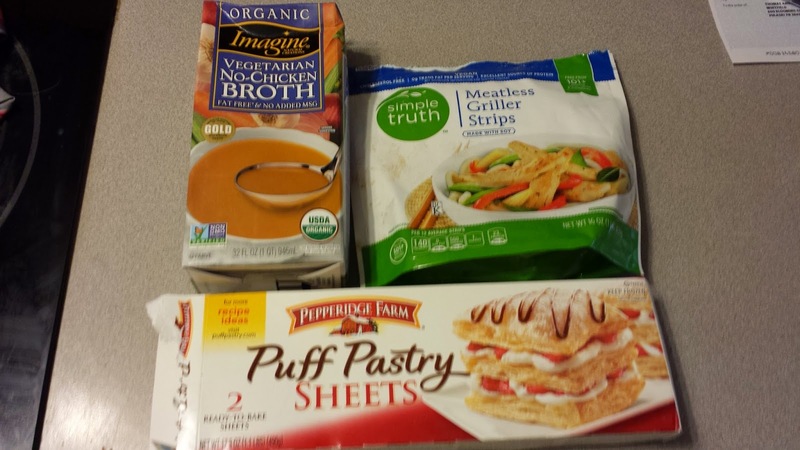 I have tried every fake meat on the market and for this recipe recommend one of the following: one package of Quorn Naked Cutlets, one bag of Kroger’s Simple Truth Meatless Griller Strips (or the Morningstar Farm strips), or one package of Gardein Chicken Scallopini. I cobbled together several recipes to get the perfect one, and I wanted to post it here so I can remember how to make it next time. Oh yes, there will be a next time. I added soy sauce and nutritional yeast to the filling to give it an extra boost of soul-warming umami. If you don’t have these on hand, no worries. 3. Bring your chicken broth to a boil in a large saucepan. Meanwhile, in a large stock pot, cook the onions in the vegetable oil for about three minutes. Add the mushrooms and cook until they begin to shrink. Add the sage, thyme, salt and pepper. Add in the cooked carrots and potatoes and stir to combine. Remove from heat. 4. Divide the vegetable mixture (if you are doing a split recipe, otherwise carry on in the stock pot). Add the chicken and peas. 5. Next up is the white sauce. Make a roux by melting the butter in a large sauté pan over medium heat. 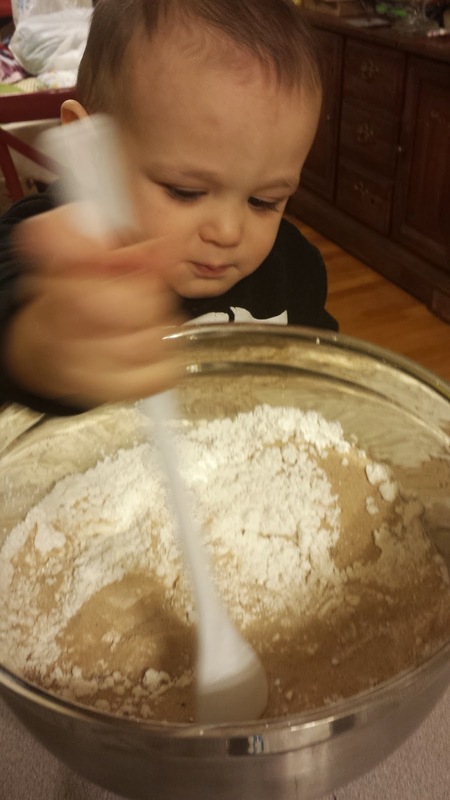 Slowly whisk in flour until the mixture bubbles and browns. Whisk the roux into the boiling chicken broth. Reduce to a simmer and whisk in the nutritional yeast and soy sauce. 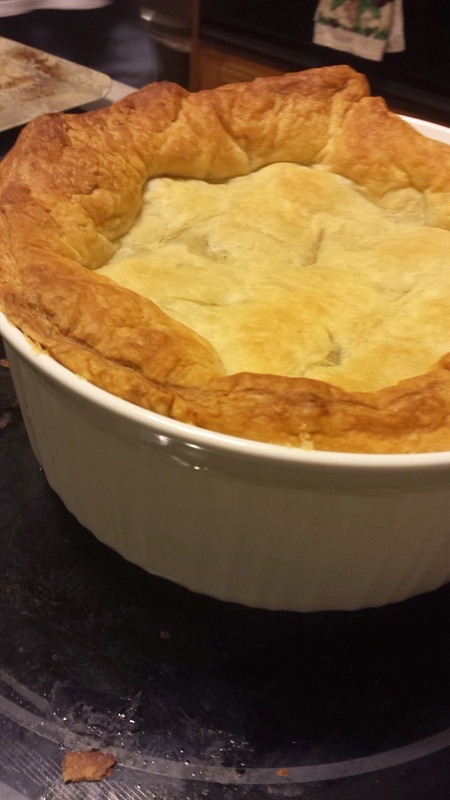 You should have a nice creamy sauce that is recognizably a pot pie sauce. Add this to the vegetable/chicken mixtures. 6. Put the filling into ramekins or casserole dishes as you wish. It is enough to fill to overflowing a 1 1 ½ qt. Corningware, so I recommend the 2 qt. sizes if you are doing two big pies. 7. Top with the puff pastry. I trimmed off the corners so that it was just to the edge of the dish and used the scraps to make sopapillas. 8. Bake at 375 degrees for 30 minutes or until the pastry is golden brown and puffy. 9. 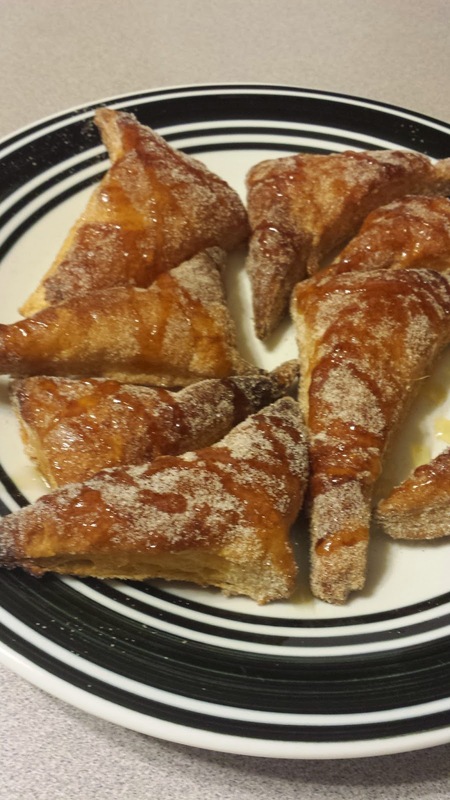 Sopapilla recipe: toss puff pastry scraps in a cinnamon sugar mixture and bake for 12 minutes at 400 degrees. Re-toss the warm pastries in the cinnamon sugar and top with a drizzle of honey.